Water damage can wreak havoc in your business. Does your insurance policy protect you? Yes, but only after the damage has been done. I’m not certified to sell insurance, nor do we want to get into that business. My point is that you can have the best insurance protection against disasters and business interruption – but your insurance agent isn’t going to be there when a pipe bursts to shut off the water main! You need fast action. Chances are that nobody will be there when the flooding begins, especially if a pipe bursts at night, on the weekend or holiday, right? And, the last thing you want to deal with is… losing business because your office is underwater! Water-logged computers, dripping wet phone systems, and submerged carpeting really make it hard to be productive. 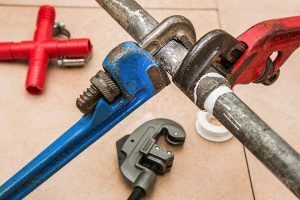 You can avoid these problems, or minimize your risk, by installing the proper emergency shut-off system… and the cost is reasonable. You may want to call your insurance agent right now to ask whether your policy factors in the emergency shut-off of your water main or fire sprinkler. Besides, the law (NFP 13) requires an annual inspection of your fire sprinkler system – so why not conduct a comprehensive risk management review? Would you rather invest in prevention and limiting your business interruption, or would you prefer to spend it on clean-up and risk lost productivity? My second reason for writing is I want to tell you how we can help you achieve peace of mind so you minimize your risk of ever having a flooded building.